Void Studios CEO and lead developer Luiz Aguena speaks to GamingBolt about their recent RPG. 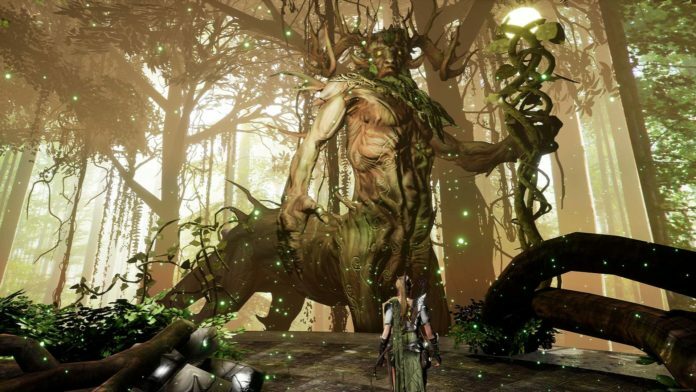 Eternity: The Last Unicorn launched recently with the promise of an RPG adventure that harkens back to classic titles. 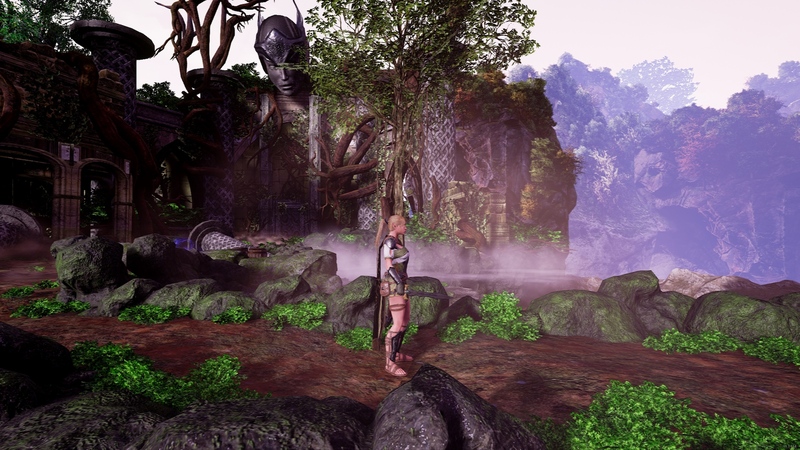 With its gameplay featuring systems and mechanics that are looking to call back to older games in the genre, there is a level of appeal here that is intriguing, to say the least. Recently, we had the chance to send across some of our questions about the game to developers Void Studios- the following questions were answered by studio chief and the game’s lead developer Luiz Aguena. "We played a lot of RPGs before producing Eternity and tried to bring a lot of things from the classics." You’ve said that Eternity: The Last Unicorn is a game that caters to classic RPGs- can you elaborate on that a bit? We played a lot of RPGs before producing Eternity and tried to bring a lot of things from the classics. The crafting system, a bit of grinding (it’s definitely encouraged a bit because of items drop and leveling). You may end in a difficult fight and the Kingdom will be open for you to come back and prepare yourself a little bit more. We made the game with the idea to bring the nostalgic felling for the classic gamers, so we build the paths, the fights, the puzzles, all with this in mind. How did you come to the decision to use fixed cameras in the game? The answer to this question complements the previous one. The fixed camera was very present in the classic games like Onimusha and first Resident Evils. So we work on that system, bringing some changes to give the players the nostalgic feeling combined with modern mechanics to make the game feel fresh. So the camera is fixed, but sometimes we add some movement on it, you do not control this movements but it is there to help you in a combat or specific situations. How much do the two playable characters differ from each other? Starting from the combat, the Elf has a sword and a bow so we have ranged combat while the Warrior is a bit stronger and uses sword with shield and two-handed sword. This will bring some different combos and methods of fighting against enemies and Bosses. 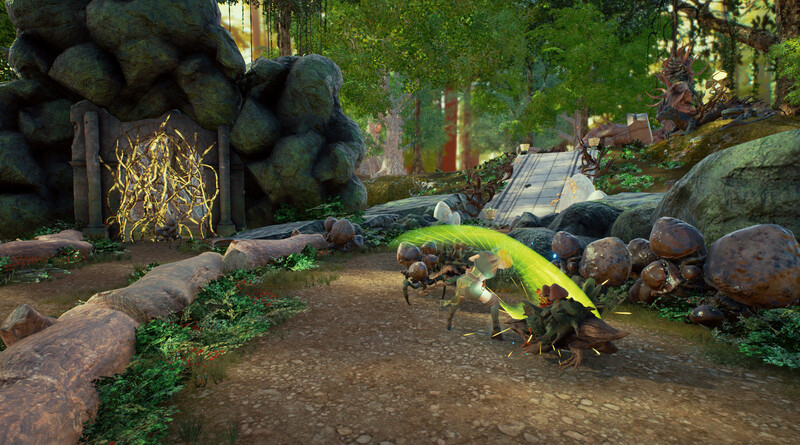 Each character will have his/her inventory, their unique abilities and assets to interact during the gameplay. Also some NPCs only talk to a specific character as well. How long can players expect Eternity: The Last Unicorn to be, in terms of gameplay hours? About 12 hours of gameplay. "We created the combat to be challenging but not too complex." Were there any stories across any media – other than the mythology itself, of course – that have perhaps served as inspirations? There is! Tolkien stories are always an inspiration for us, we love Lord of the Rings and what they did for movies and games. Related to games, I think two that inspired us the most to produce Eternity were Zelda and the Souls series (Demons Souls/Dark Souls). "We would love to have Eternity on Nintendo Switch, but we can’t confirm anything yet." How do progression mechanics work in the game? We tried to make everything growing together with the player, so the enemies will become stronger, the puzzles will become more difficult, you will find new weapons and abilities that will need to be used in order to advance or to defeat a particular enemy. About your levelling it’s tricky because it depends of how you are playing, but if you find yourself in trouble you can always go back a little bit to grab more items, do some craft and level up your character. Do you have any plans to launch on other systems? We would love to have Eternity on Nintendo Switch, but we can’t confirm anything yet. At the moment we are focusing only on the platforms we have already announced (PC, PS4, Xbox One). Will the game will feature Xbox One X specific enhancements? What can players expect if they are playing the game on Xbox One X? Is 4K/60fps on the cards? This was something that initially we wanted to do, but due to some technical issues this wasn’t possible to happen. And how will the PS4 Pro version turn out in terms of resolution and frame rate? This is the same as with Xbox One X. Due to technical issues this wasn’t possible to happen. From a development perspective, how do you find the Xbox One X to be and how do you compare it with the PS4 Pro? We didn’t have the chance to try these yet, but we are excited to make some tests in the future. 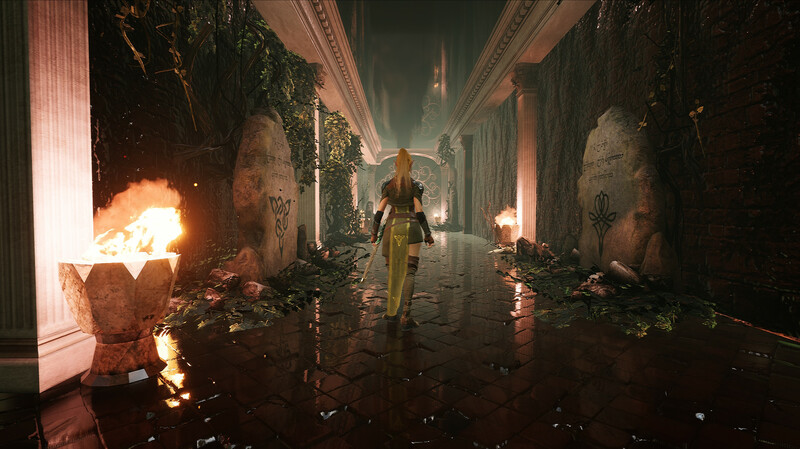 How is the game running on the original Xbox One and PS4, frame rate and resolution wise? It’s full HD and we’ve frozen the frame rate to 30 to guarantee the gameplay experience. "Speaking as a player, I would love to play with my friends independently of our platform choice." We’ll have to wait until there is official information on this, so for now I can only speak based on the rumours we read here and there. But, we are sure that the next generation will be even bigger than the current one. Our expectation is to be able to produce even better games and make use of the new features that are coming, also that is a lot of promises on cross-play, so I am curious to see what we can do with this feature. Do you think cross-platform will be one of the defining features of PS5 and Xbox Scarlett? As a developer I can’t say for sure, we need to see first something official and do a few tests on it, for now we can only speculate what the next gen consoles will offer to the players and developers. Speaking as a player though, I would love to play with my friends independently of our platform choice. What is your take on Sony’s reluctant policy on cross-play with Xbox? It’s a choice and if it is not something temporary they must bring something to supply this request of the players. In any case we think cross-play is a great idea for all the players. Do you think Microsoft is missing out by not investing in VR? Furthermore, do you think the next Xbox will lack VR support? We never tried VR, we can see that’s something that may become strong in the future, but for now we are not too much into it, so we don’t think Microsoft will have troubles because of that. What is your take on the ongoing drama of loot boxes and microtransactions? Speaking as a player myself, I agree that the best way to play a game is pay for the entire game and accessing everything. We understand that this kind of thing is suitable for free-to-play games, and that the developer needs to make money somehow, but it’s not something I like.